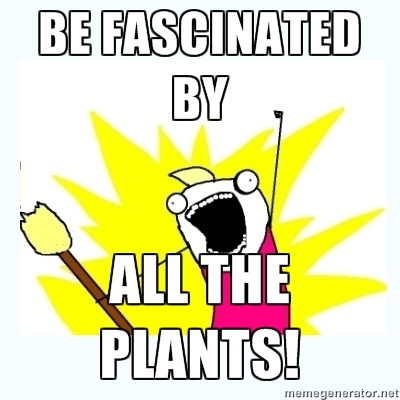 Today is the first ever Fascination of Plants Day and I am very excited, as my Twitter friends will be able to testify (tweet ALL the plants!). All over the world there will be plant-related activities today, in Botanic Gardens, universities and research institutes. Our group will be at Oxford Botanic Garden from 10-7 pm and show people what plant parts and cells look like under the microscope! To celebrate the occasion, Martin Austwick has written a very lovely song from the view of an ancient tree. Go and listen to it and don’t blame me if it gets stuck in your head! The Methuselah tree, not far from Death Valley in southern California, is estimated to be 4,800 years old. It was born 2,800 years before Christ and maybe 400 years before Britons built Stonehenge. Pando, The Trembling Giant, a clonal colony of aspens near Fish Lake in southern Utah, is estimated to be 80,000 years old. As far as I can work out, it’s believed that human beings could not have made their way to North America before around 45,000 BC. In tree years, Pando was my age before he saw a human being. Europeans arrived six months ago. I have also put a medley of our musical cell videos on YouTube, just in case you need to erase Martin’s song from your mind with a bit of the vacuole song. I’ll finish off with a bit of fun: What is your birthday flower? Check out this list and let us know in the comments. Mine is a leek. Not sure what to make of this!